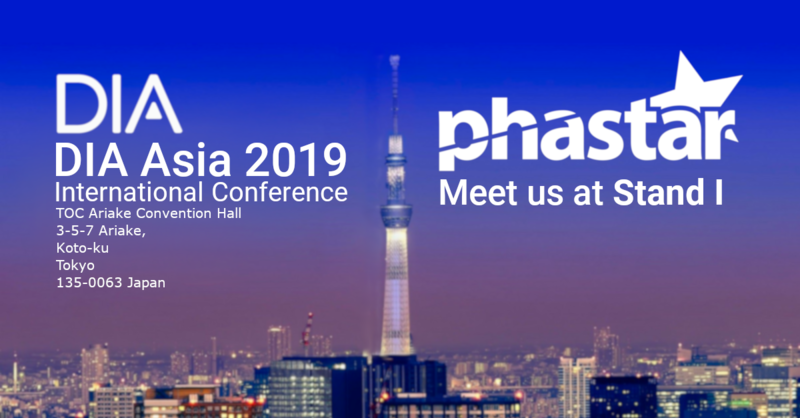 PHASTAR is delighted to be heading back to the far east, to exhibit at this years’ DIA Asia International Conference in Tokyo, Japan! Exhibiting at stand I, PHASTAR’s Managing Director Andrew MacGarvey and Business Development Manager Edward Clark will be on hand over the two-day event to discuss PHASTAR’s award winning statistical consulting, clinical trial reporting and data management services. Running from 18th to 19th April, DIA Asia brings together some of the world’s most prominent figures in clinical development, medical affairs and CROs, to name a few. Having made several trips to Japan in the past year including exhibiting at BIO Japan 2018 and a successful industry trip with JETRO this past February, PHASTAR is eager to increase its presence in Asia, which is fast becoming one of the worlds most important emerging regions in terms of drug development. 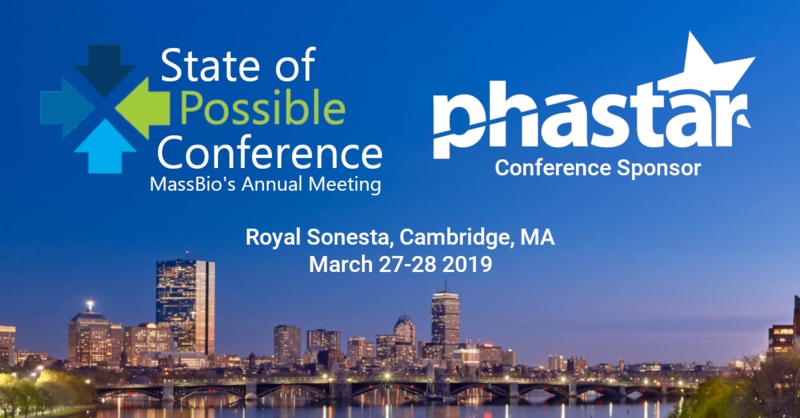 PHASTAR, the Cambridge based global CRO offering statistical consulting, clinical trial reporting and data management services is delighted to announce their sponsorship of the 2019 MassBio Annual Meeting, taking place on 27th – 28th at Royal Sonesta, Cambridge. Focusing on the ‘State of Possible’, this year’s conference celebrates the advancements within the pharma and biotech industries and the possibilities these advancements offer the patients of today. The MassBio conference attracts over 600 local and international pharma and biotech leaders, who over two days will discuss the challenges facing the life science industry and how to mitigate these. 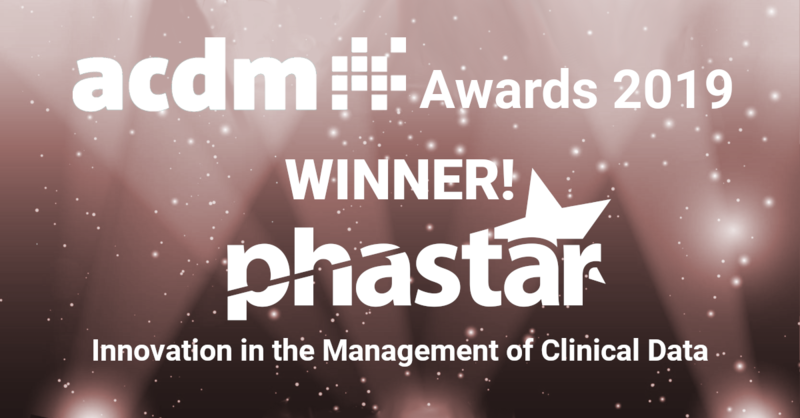 PHASTAR, the global CRO offering statistical consulting, clinical trial reporting and data management services to the pharmaceutical and biotech industries, is delighted to be announced as winners of the inaugural award for Innovation in the Management of Clinical Data at this years ACDM Conference. The annual awards were established in 2019 to further showcase the achievements in the management of clinical data of ACDM members, with winners being announced at the annual ACDM conference, this year taking place in Amsterdam. Speaking on the win, Kevin Kane, CEO of PHASTAR, stated: “We at PHASTAR are delighted to be winners of this inaugural award in Innovation in the Management of Clinical Data. Our Data Management team’s number one focus is quality of work – we have a 100% success rate with our clients – and an innovative approach on handling data is one of the ways we ensure this. I am exceptionally proud of our data management team”. The annual European DIA conference took place in Vienna this year. After the opening speech (which involved a flash mob of attendees doing a waltz across the main conference hall! ), the conference kicked off with the first key note session of the week. Dave de Bronkart, aka ‘ePatient Dave’ was given 24 weeks to live upon a diagnosis of cancer. Dave described how he became one of the first ‘ePatients’, a term used for patients who use the internet to treat, and sometimes cure, their own conditions. Things have changed since the times where medical professionals implored their patients not to use the internet to self-diagnose and treat. Dave presented a strong case for the need to engage patients and to open the internet as a tool to be used for patient empowerment. This shift will impact the industry greatly. When we set up clinical trials, we need to consider that patients are now a lot closer to their data than they used to be. When designing data capture systems and devices, we now need to ensure these will be user-friendly and will encourage patient engagement more than ever before. The FDA has even suggested that the degree of subject involvement in a study may be used as a quality indicator. …an adaptive design is defined as a clinical trial design that allows for prospectively planned modifications to one or more aspects of the design based on accumulating data from subjects in the trial. PHASTAR’s extensive experience with CDISC standards, when combined with clear dataset specifications, can be leveraged to facilitate the changes which may be required due to Adaptive Trial Design. This could include additional data being collected and reported, or further treatment groups or regimens being added to the trial design. With standard scalable dataset specifications, it follows that forethought applied to output design and programming will aid the accommodation of changes to the data and/or trial design.